er... second January weekend plans? We made it to dressage. Rosie loaded and unloaded fine both ends. Could have been more forward in both tests but she’s not been out before and I haven’t done dressage in ages. Had a minor spook at the judges car but we stayed between the boards (and didn’t spook at them) and came last and second last with 55 and 58. My competitive streak is a bit disappointed but overall it went well! Show day didn’t go as well as I’d hoped. 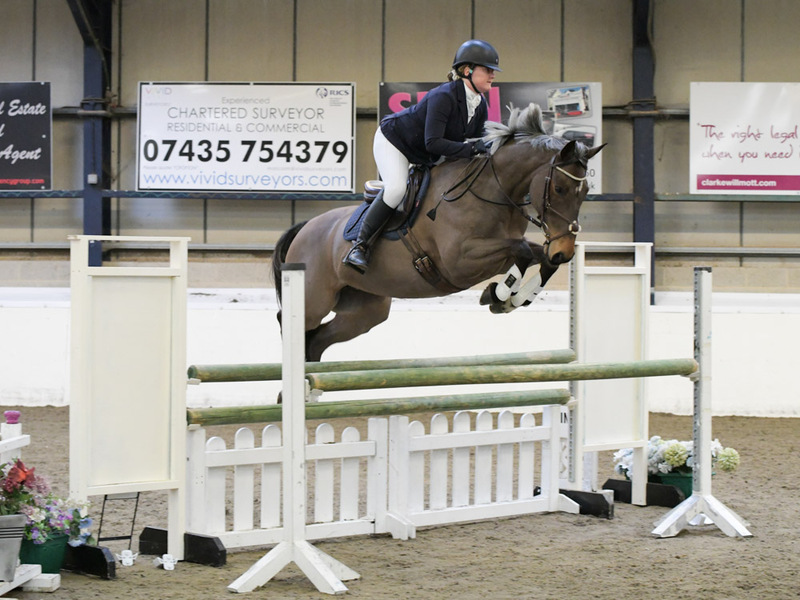 It was very quiet so despite leaving early we were just in time for the 1.05m. Beau was drawn 6th to go so I barely got a chance to walk the course and our warm up was pretty lacking considering I was rushing trying to be ready in time. Blue was drawn last to go in the 1.10m so I had plenty of time to walk the course. Before we went in my trainer said to watch the line after the one stride double as it would ride short so I made sure to remember that as we went in. Of course, I made a mess of it by shortening too much, which confused Blue. 🤦‍♀️ So we had to circle. We’d already had a fence down so it wasn’t a game changer but it was disappointing all the same. Fionn and I had a great though nervewracking morning at flexi eventing.... He warmed up well in a horrendously busy, albeit large warm up and did a very nice test. Turned out to be 65% which was in the top half, with scores ranging from 50-73%. Then we jumped a few practice fences and headed off into the arena. Who's your arena XC lesson with? Oh brilliant, love Becky! She is a great teacher. Coolie and I had a really fab lesson, we have a heap to work on but progress is being made. Dressage is hard though, however I am determined we are going to get better and do elementary. Feeling very proud of us despite how hard we worked and Coolie certainly tried his best. I have to be way more on the ball now. We had such a fun ride out with friends this morning. Must say Henry as the youngest horse there was the best behaved. He ignored the prancey arab next to him and was perfectly happy to be out and about. And he went into the water first time with no hesitation, so I am very pleased with him! You're doing that annoying pictures from the other side of the planet thing again AccE! Well done Fiona, that's brilliant! Amber is fine I think. She has been in since she fell to keep everything clean but hopefully she can go out for a bit today. Although the weather is grim! I think I am being over cautious because it really is just superficial scrapes and had she got those any other way I would not give them a second thought. But I can't quite let go of the awful fear I felt when I first unloaded her! Irrational I know. But I think she really is perfectly fine. Well done for getting out Abi. All fantastic experience. Bad luck BM - horses are frustrating! I can't imagine 1.05 ever looking small but I live in hope! AE these sunny photos on beaches/in rivers are just cruel. I am staring out at sideways rain at the moment. It's about 4 degrees and winds gusting up to 40mph. Indeed, and I love them!! Yeah, with all that sunshine, and everyone wearing short sleeves. Horrible. Life here is so hard. We wont mention it was 35C during my lesson yesterday. Just think of me when you lot have summer days that seem endless and we are in the middle of winter. Oh and I get to come to the UK in March. Weather will probably be very wet then! The dogs hate it too. Obviously.. swimming in the dam is the worst. Great Pics of your daughters AE, they look very confident and what super ponies. I'm another who is a bit envious of the sunshine but I don't think I'd get out of walk in 35degs! Rose and I did a test riding clinic today doing the novice 27 test that we are doing for Team Quest next weekend. We'd had a go at it UA on Friday and struggled a bit with the canter diagonal and with balance in the downward trans from canter in particular. First run through of the test we got 62%, it was all a bit unconnected and the canters were a bit of a car crash again. However, I worked on the bits we thought we could improve easily (not the canter specifically, thats a work in progress) but we did a lot of small very active trot to get Rose quicker behind and the aim was to keep her shorter in the frame, particulary in canter and keep her energised with lots of leg and half halts. Westarted the second test but as we turned on the centre line, she dropped me, so I gave her a pretty sharp pc kick (sorry if that offends anyone !) and she got her act together and did a really lovely test. I was so thrilled with her and we got over 69% which has given me a lot of confidence as judge is a BD and also trainer. She said lots of lovely things about Rose so I am still beaming! Pic of Rose in her peacock colour. Yeeeahh!! Did the 70 and 80 today, had 2 unfortunate poles in the 70 (my fault, pushing for long strides and he went too flat) still got a 5th though and got a CLEAR in the 80!!! Woo hoo!! Couple of disunited bits again but he still stays in a rhythm, I think the more we do and the more confident we become this should sort itself out. We came 4th!! Out of more than 4. The top three were super quick and shortcutting all over the place, we can't do that yet ha ha. I'm so so pleased. Trying to upload the course video but vimeo isn't playing along 🙄 might have to add it in tomorrow! We went to our derby and it was a lot busier than I thought so had a bit of a wait but better that than rushing. Bit of a sticky clear round in the 80, and then an annoying pole at an upright in the jump off. Think we got a bit too close and he clipped it. That left us out the placings. The 90 looked huge for some reason, and he looked at fence one which had been fence one in the previous two rounds and propped, so he got growled or and we flew round the rest including a one stride double that had been worrying me. I was last to go in the jump off, we had a slight difference of opinion on fence one. 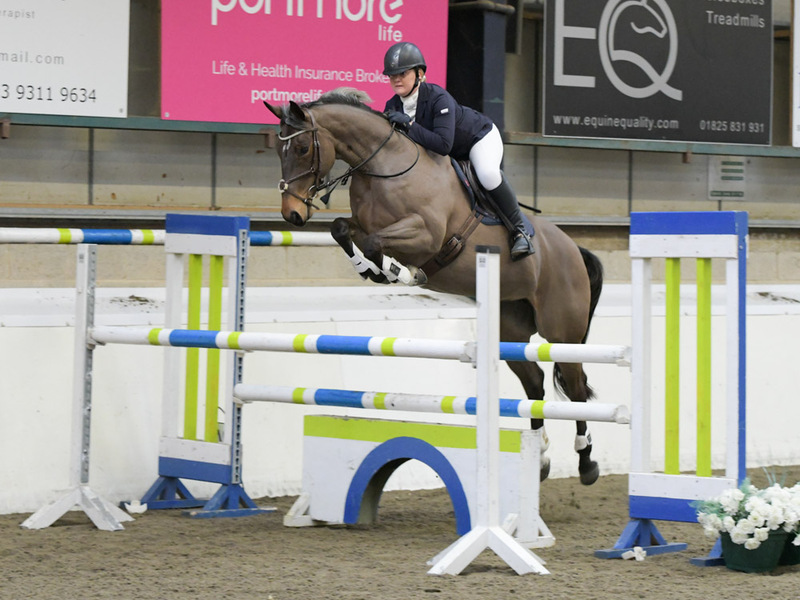 I wanted him to jump as close to the left wing as possible, to set up a very quick turn - he was the perfect schoolmaster and said 'excuse me, mum, we jump in the middle of the fence,' and promptly corrected his course. That left us on a not great line, and we had to jump fence two from 2 strides but he flew it. Next few were fine, but he took a flyer a the second last and I lost both stirrups and one rein and we almost missed our left turn, ended up with his nose in the gallery and turning in walk but we didn't cross our tracks! Picked up canter and managed the last still without stirrups. That's nice, one of the benefits of being on a yard. Well done with your double clear, you seem to have a horse that tries for you which is half the battle! It worked! Here's the 80 vid. One huge leap at fence 7 too, oops! The 70cm was ok, a couple of times where he shortened and put in extra strides rather then moving forwards but jumped clear. Then on to the 80cm - our first one. Well by this time he knew what it was all about and he was much more forward and taking me to the fences. An unfortunate one down where we got a little close to a skinny but am so pleased. Seem to have some confidence - it didn't look big, infact nearly the opposite. We both enjoyed ourselves and once again he has proved just how awesome he is. Now I just need to focus on relaxing enough to remember to give with my hands over the fence, rather then feeling the need to pick him up over it. Well done chippers, keep up the momentum. Well done @mavandkaz it's nice when it looks smaller than you think! 80cm uprights look fine to me but oxers still scare me...even though they're the same height 🤦🏼‍♀️ onwards and upwards! 80cm uprights look fine to me but oxers still scare me...even though they're the same height 🤦🏼‍♀️ onwards and upwards! Well I do have the advantage of being on a 16hh horse! I'm the opposite, much prefer spreads to uprights. More likely to ride forward to a spread as I think they just follow the shape of the horses jump. Whereas I think of uprights as being 'up and down' so tend to get in too close. A quiet weekend for Chilli as predicted. Rather blustery hack yesterday and today she became a riding school pony. He actually didn't do a bad job for someone who has sat on a pony once before for about five minutes. I sort of got him on then gave Chilli a pat on the bottom to send her on her way Things almost mastered include: walking, turning, halting and rein back. Not yet attempted: trot, circles, tempi changes Yes, I know him riding in trainers is unsafe but can't quite convince him he's enough of a professional for proper boots yet! My lesson went very well, got a few leads at the start to get him going forward, and he jumped some big rollers, skinnies and water and steps. Need to go much faster than I normally go, if I think I'm fast, I see it on video and it's not, it's really slow. Sounds like good fun Fiona - is Becky doing any more of these types of clinics? Look at those tidy knees on ruby! She’s looking great. SJ is obv her thing. Really nice round chippers! It’s great for me to watch some 80s. Might you tube some. Helps me to get my eye in and hopefully get used to seeing that height.